Got to love Alterac Valley weekend. My Druid has gone from being a brand new 85 in blues and greens to a full PvP set in no time at all. Have to admit I’ve always loved AV though. The sheer scale of it offers so many possibilities. Take and defend towers, kill Galvanger, defend Balinda, sneak around ganking people on the field of strife. Each game is a wealth of opportunities depending on your mood. Although I can’t help but feel the speed that honor is earned at devalues gear. We were getting at least 300 a game with the games on average only lasting 10 minutes (unless we met the German realms who seemed to want 45 minute zergfests which came down to the last man standing) and pretty much instant queues. It all added up pretty fast. Then there is the fact that AV is basically as hard as you want to it to be. For every person like me who was sneaking around retaking bunkers and defending towers, there were four or five “armchair commanders” sitting on “noobhill” yelling instructions in raid chat. Yet they are getting 99 percent of the same honor for basically riding from one end of the map to the other and capslocking a lot. I particularly liked it when the solo rogue up the west frostwolf tower was frantically announcing his incoming demise yet was ignored by the “armchair commanders”, even though they were standing 5 feet away and then proceeded to call him names for the rest of the game. Yes, it was totally his fault that eight horde ran up the tower and killed him. My other favourite moment had to be when I retook stonehearth bunker using the oldest trick in the book, Mr Harpy dancing around in his bubble distracting the five or so defenders (who were all emoting chicken at him), whilst I stole the flag back. Never underestimate how much everyone hates retribution paladins. The icing on the cake came when we leapt triumphant from the bunker and escaped unharmed. They were clearly in too much shock to chase us. Now it’s a case of what to do next. I’m already at 4000 resilience and the only PvP upgrades would come from rated Battlegrounds and Arenas, but we’re playing on a server where we don’t know anyone and the thought of pugging rated battlegrounds sounds horrific. 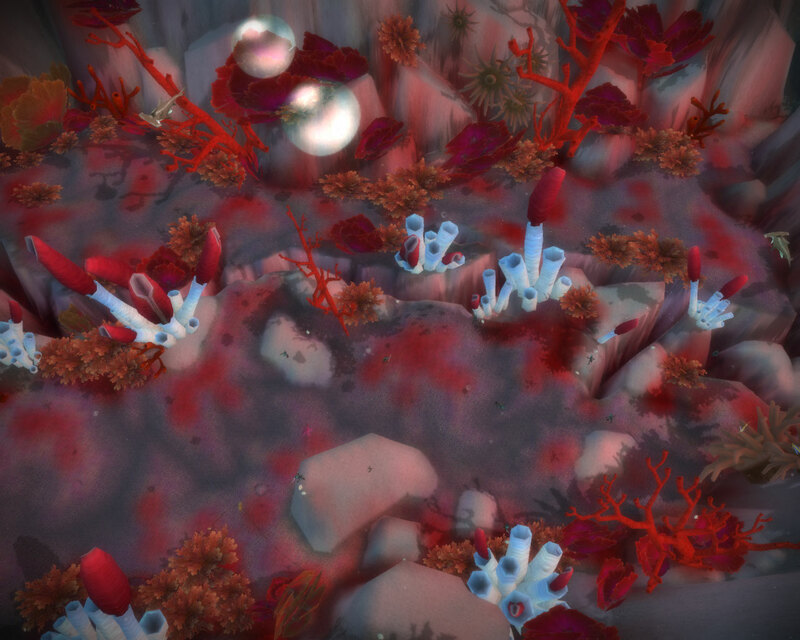 I fully expected to hate Vashj’ir. As it turns out, I was wrong. I was captivated by the beauty and scale of it. The shared topic this week is Transmogrification and Void Storage, suggested by Essence. 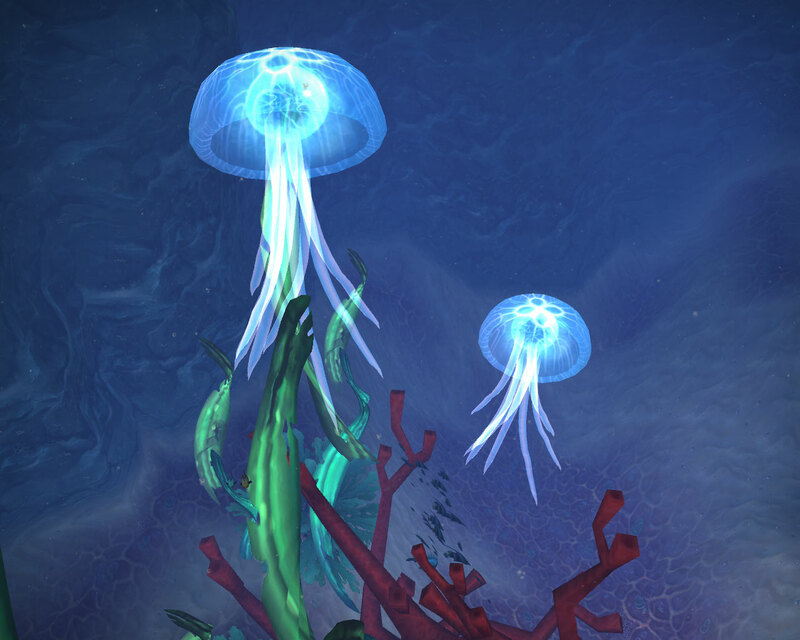 So, by now, we’ve all seen the tidbits of Patch 4.3 that Blizz has decided to release to us. The hype, in particular, surrounds two things directly related–Transmogrification and Void Storage. If you do not have any idea at all about what the two of those are, you can view the blue posts here (Transmogrification) and here (Void Storage). 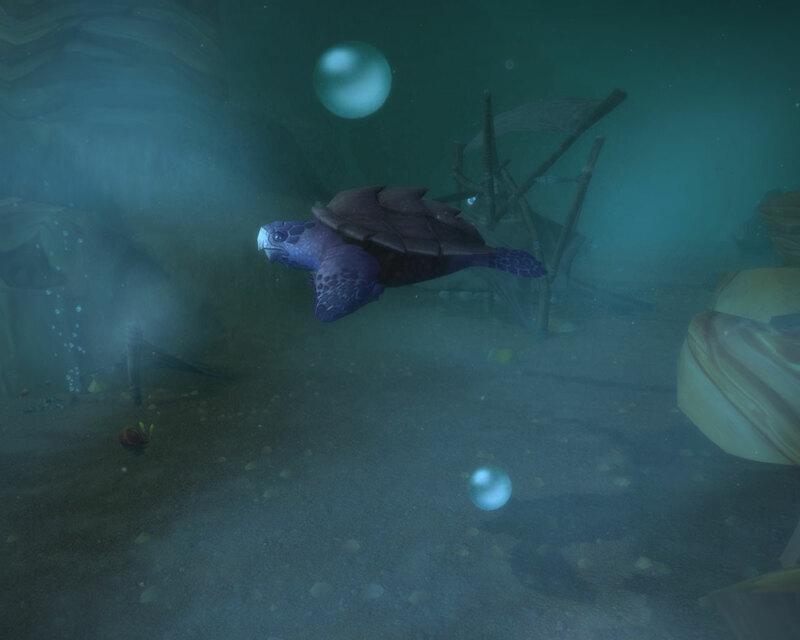 What are your thoughts on these two new things Blizz wants to put into the game? Has it fulfilled your need for bank space (a recent ST)? Will it make you more interested in the game? Could you care less? Is there anything you’d change? Let’s have at it, ladies and gents! Nitty and gritty! I’m torn on the topic. Part of me, the bit that hoards clothes, weapons and other such fripperies is squealing with excitement at the very thought. Already I’ve been on WoWhead and RP blogs plotting suitable ensembles for each of my characters. For my Druid, I think Terestian’s Stranglestaff or perhaps the Feral Staff of Lashing (yes, there is a theme here). Alongside the tier 1 recolour that you find in the Burning Crusade 5 mans. 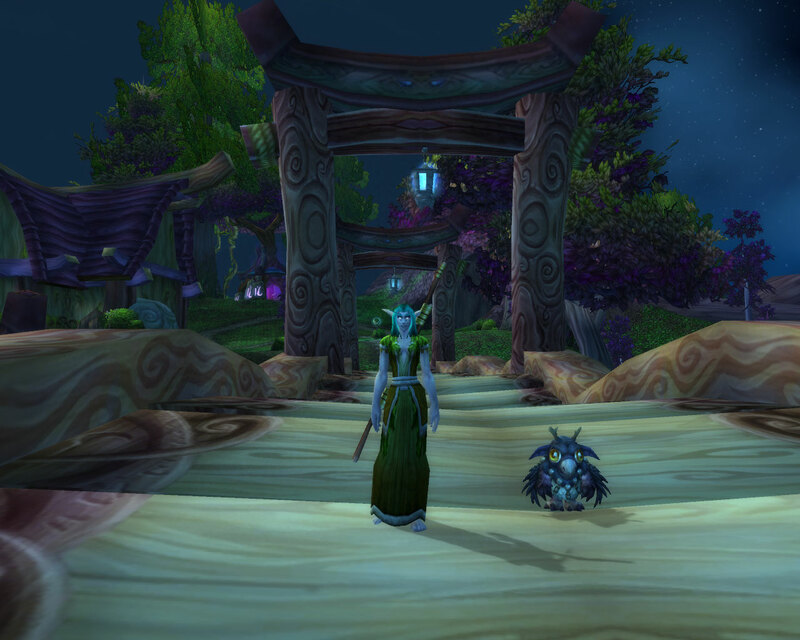 Yes, it screams Druid but I’m fighting a spot of nostalgia for Treeform, which I hated when we had it. I like the leafy look and I’m quite partial to antlers too. Sure, it won’t work as a disguise in PvP but who cares, I’ve got stealth and shadowmeld for hiding. Whilst I was writing this, I remembered my Priest still has the awesome tier 6 shoulders hidden away in her bag (or at least I think she does, I hope they didn’t go the way of tier 1 when I was trying to make levelling space for Cataclysm), so that’s one slot taken care of. Finding things that go with the dark blue might prove a little tricky though. My new favourite website has to be this one. So many possibilities to consider. However, as someone who PvPs a lot and takes her PvP pretty seriously (I’m a rather bad loser), I’m a little unhappy with certain aspects of the idea. Right now, in battlegrounds, arenas or just out in the world, you make judgement calls based on what you can visually see about a person. Spec, class and gear can all be determined by a swift glance before you engage. Fast forward a few months and you’re confronted by a team which includes a Disc Priest, a Holy Paladin and a Resto Druid. One of them hit 85 yesterday and is wearing a mix of levelling gear, a few pieces of the crafted PvP set and one piece of justice point loot. One of them has the very best PvP gear and so much resilience it makes dpsers cry just thinking about it and one of them is wearing pure PvE gear. What you actually see is a Priest wearing blue overalls and a lumberjack shirt, a Druid dressed in the warbear leather set and a Paladin in a plate bikini. Clicking through each one and trying to figure out who is the squishiest based on health pool/mana pool takes time and isn’t always that accurate. Depending on class and choice of talents as well as gemming/trinkets the person with the least resilience might have the highest health pool. When two people are chasing me, Mr Harpy has to make a decision as to who is the bigger threat ideally before they hit me. That is done on a visual basis. If he makes the wrong choice and wastes a stun or repentance on the person I could have tanked indefinitely then we are in trouble. I have no issue with concept in PvE, in fact as long as people mix it up a bit, I can even see it being useful in PvE. Being able to tell the difference between Paladin A and Paladin B at a distance might be useful especially when it comes to dealing with screwups. However that only works if they don’t all decide that tier 2 or tier 5 was the best thing ever and all show up wearing it. Plus, some of the various tiers Blizzard come up with are truly horrendous, personally I hated most of the Priest tiers in Wrath for example. Being able to hide them can only be a good thing, especially at the transition period where you are wearing the robe from one tier, the shoulders from another and offset gloves/helm which clashes with the lot. However, in PvP, I would like to see it disabled. Yes, you can argue that for Feral and Balance Druids, the principle is already true. You have no idea of what their gear is like until they hit you or you hit them. However that’s one class out of ten, not all ten. Then of course there are a few trinkets which change your appearance and gear, but these are the exception, not the rule. As for bigger storage capacity…. it’s a bit too late for me. My first ever Druid now languishing on a random server and never played has my Hyacinth Macaw because my Priest was struggling for bagspace back when it dropped. I sold my tier 1 obtained at great cost slowly and painfully in Vanilla (we hardly ever got Priest drops and we fielded about 8 priests per raid so competition was fierce). That said, I’m glad they are finally adding it in, even if I would have preferred something a tad more exciting sounding than Void Storage. So we’re back as paying customers. Turns out, for me at least, quitting smoking was easier than quitting WoW. Once the fateful decision to return was made, we had a couple of choices to make. First up, where did we want to play? This was a difficult question for several reasons. Most of the people whose company we enjoyed from our old guild, had also decided to move on. Therefore returning to our old server didn’t really have a lot going for it, other than the fact that our only 85s were parked there. However, some of the more recent Druid changes meant that Mr Harpy was less than keen on playing a feral Druid (not being able to shift out of roots unless you’re resto, pff). Which led us to the BIG question, PvP server or PvE server? We have played on PvE servers in the past, but tended to prefer PvP servers. Normally we would just have gone PvP without even considering the alternative but the shift in the PvP climate as we’ve moved through expansions has made us more open to the idea of levelling without ganking. These days it seems that people only attack you when you’re aoe grinding, they think they outnumber you or you are a good thirty levels lower than them. When you win, you get whispers like this one Mr Harpy received after we went 2 v 2 with a warlock and a frost mage. Notice how he logged off extra fast to prevent a response and the smiley at the end is a nice touch. 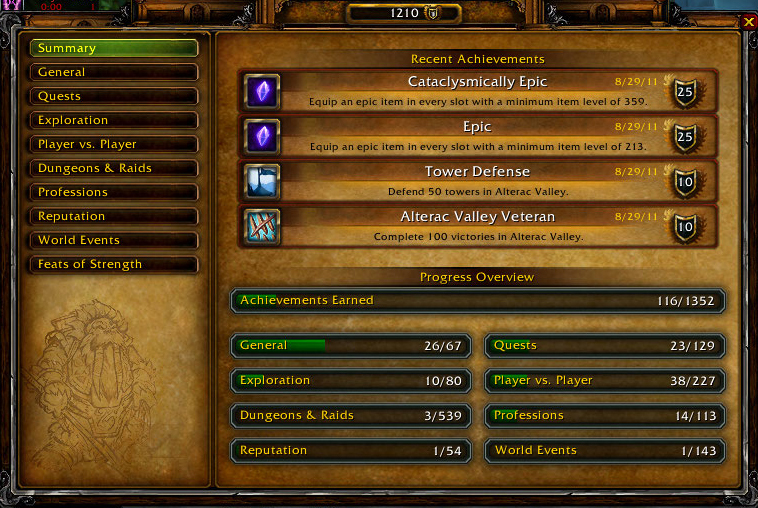 Add to the mix, flying mounts in Azeroth and PvE seemed the logical choice. Now I can do my dailies without Mr Harpy getting scared some hateful Horde will try and kill me. So we picked a PvE server entirely at random and came up against our next choice, which classes to play. Now, I’m still a Priest at heart but I’ve been reading things like this and this with an increasing sense of woe. I’m Holy through and through and have never really enjoyed playing either of the other two specs, despite having raided as Disc right through the end of the Ulduar hardmodes to that Coliseum nonsense. So, I gave in to the dark side and rolled Druid number 6. Mr Harpy on the other hand, picked a Paladin and is now having the time of his life running around low level battlegrounds squishing people. I’ve no idea why, but being killed by a Paladin has to be one of the most annoying experiences in WoW. 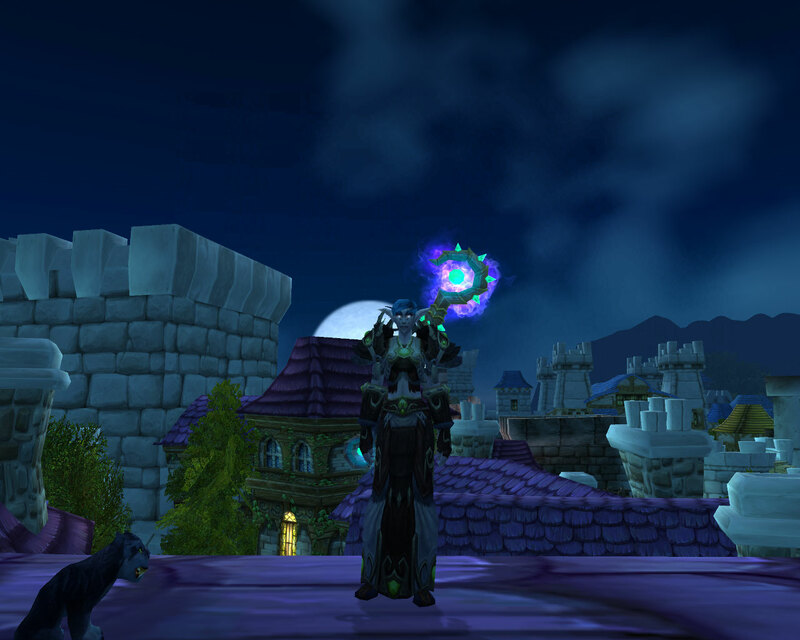 As I can’t face the Worgen run animations and because shadowmeld is the best thing ever, I’m still a Nightelf. A decision I was criticised for by the time I hit lv 20. Yes, Worgen racials do offer more for Resto, 1 percent crit is better than running faster whilst dead, nature resistance and quickness. The Worgen sprint is good too, more so in PvE than PvP though. In PvP, I’ve already got cheetah for running away with the added benefit of being able to clear roots/snares as I go. However, going cat -> shadowmeld -> stealth is priceless, especially when you watch them running around trying to figure out where you went. As is being able to ditch pets and get out of combat fast to drink without having to run five miles away from the action. All in all, I’m glad we came back. Whilst PvP is still a mix of horrible nail biting frustration combined with moments of awesome bliss it still manages to be mainly fun. 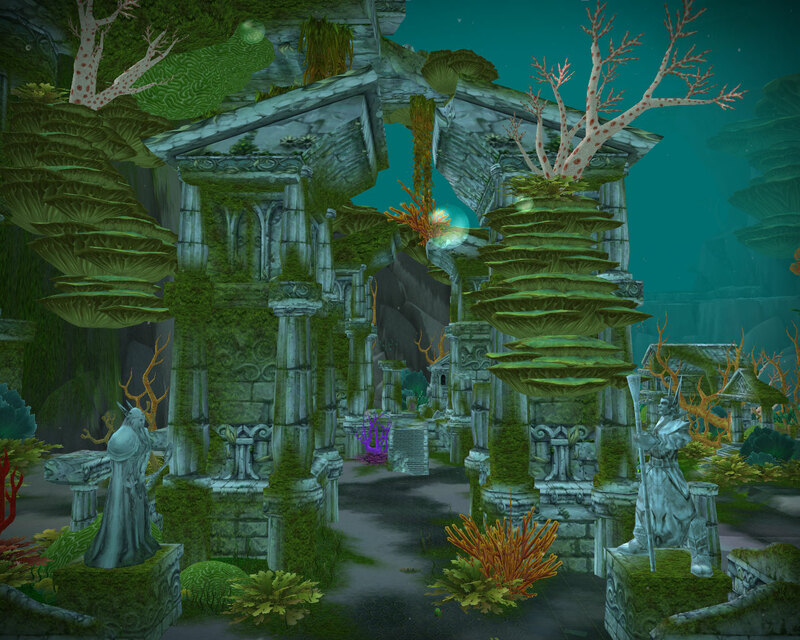 Apart from the Strand of the Ancients which has only managed to get worse. 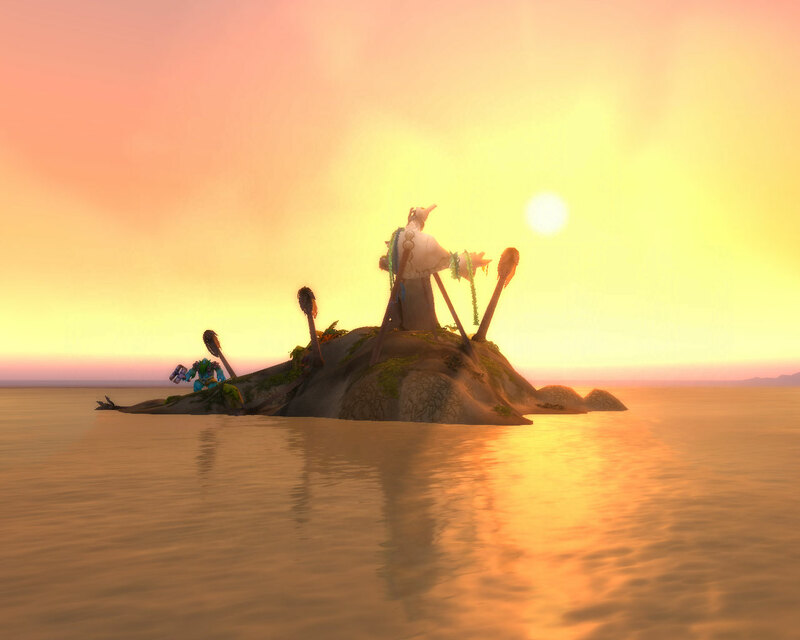 One of the major things I missed whilst not playing WoW, was the truly breathtaking landscape. 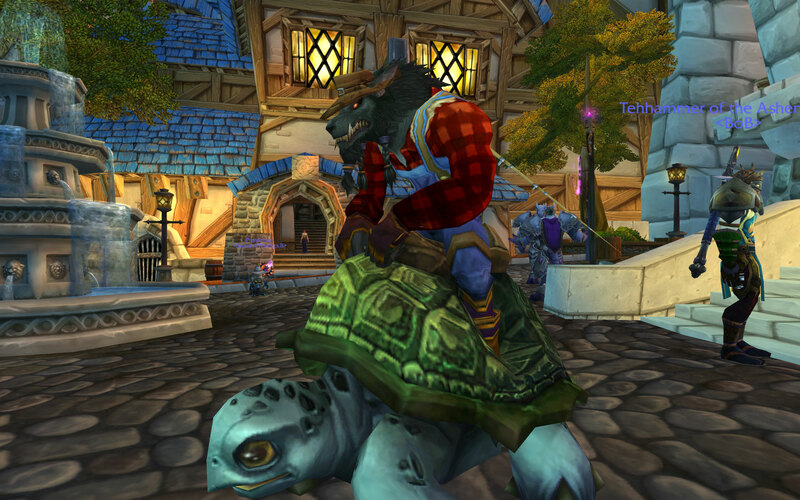 I read this week’s shared topic over at Blog Azeroth with a dawning sense of glee. Suggested by Amerence, it is after all something close to my heart. Questioning as it does whether we should request bigger bags/bank slots from Blizzard to help us keep track of potentially over six years of soulbound items. So I like to ask you… Would it be worth a try to suggest to Blizzard to extend the capacity of our Bag and Bank item slots? Or do you think the cost of just tailored Bags (22-30slots) will do the work? Or Is it just not worth the time to even be mentioning these non sense about the Bag and Bank items capacity? I am just as curious as you are to know because honestly Items are getting piled up especially the soulbound items. Is there any other options for the Soulbound items to go somewhere or something it may not be right now but how about in the future? Honestly, My bank and Bag slot in one character is getting really full and that excludes the consumables you carry for raid. I have to admit I’m a bit of a hoarder. Not in the extreme sense that a tv company will be hammering at the door wishing to document the chaos in which we live but I do find it hard to throw out things with sentimental value. I have for example every love letter I’ve ever been written (who knows they might come in useful one day), as well as a wide variety of other “junk” that I’ve acquired. This tendency to hang on to things just in case at some nebulous point in the future they prove useful does brim over into WoW and every other game I’ve played. My Mage in Dragon Age: Origins being a case in point, all that blank parchment will come in handy for something. My latest character in WoW is already showing hoarding tendencies despite the fact that she’s only level 40. Throwing out Keeshan’s Bandana would be disrespectful and how could I ever get rid of my Kobold Candle? What my bags will look like by the time I hit 85 I dare not imagine. WoW already gives us lions and witches, so to complete the theme I would like to see the introduction of wardrobes. After all precedent has already been set by the introduction of bigger than normal trade skill bags, so why not one just for clothes and all the other bits and pieces we can equip on our characters. They would take up one of the current bank slots and would come in different sizes starting perhaps with a 50 slot version and running all the way up to 120 slotter. Only one per character would be allowed but like all bank bags you would be able to upgrade the size as you levelled/had more spare cash. Perhaps an enterprising Worgen/Goblin could set up shop in Stormwind/Orgrimmar selling a variety of models from the basic chipped veneer smelling slightly of mothballs to the deluxe polished rarewood inlaid with diamonds. Then to make things easier in terms of on the move storage, suitcases and valises could be added too. These would only be usable as a bag slot for your inventory and again would be limited to 1 per character. Starting with a fairly basic model, maybe a 30 slot version you could pick up from a vendor somewhere and then bigger better models could be added in. Perhaps through professions, leatherworking for example I’m sure could make an excellent suitcase. Maybe archaeology could dig one up. What’s the difference between a sarcophagus and a suitcase after all? (other than size, materials used in it’s construction and the dead body of course). Engineering could make a bad tempered one on legs in the vein of Terry Pratchett’s Luggage. The possibilities are endless. Yes, I could delete a good chunk of the random greens and blues in my bank, things like the rainbow trinket (why can’t it work on warlock imps) and all the festival bits and pieces but I would still like a specific storage for my clothing. I’m currently playing a Druid and that’s resto pve gear/resto pvp gear/boomkin pve gear/boomkin pvp gear and a few feral bits. Yes, a few bits overlap but since Blizzard like to throw curve balls by buffing/nerfing stats or adding gimmicks (see prot warriors and Anub’arak Hardmode), I like to keep as many options as possible whilst still having enough bag space to grind/quest and do dailies. Then of course, there is the practical issue, who really wants all their gooey quest bits stuffed in their bags with their clothes? I don’t see the harm in providing bigger bags as with each coming patch, Blizzard provide more and more things for us to hoard. I suspect even the nay-sayers would pick them up eventually. As it turned out, absence only made the heart grow fonder. 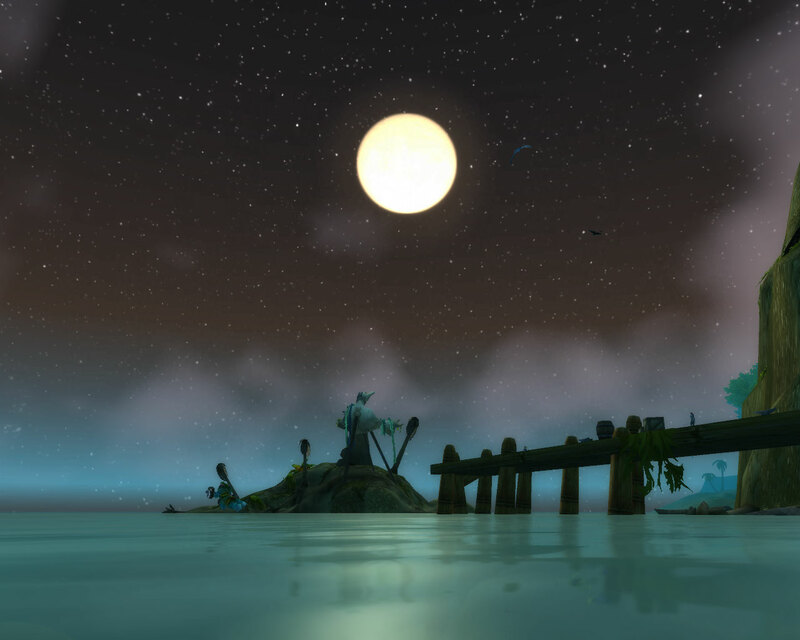 Not only am I still addicted to taking screenshots, I’m still in love with water and it’s effects. 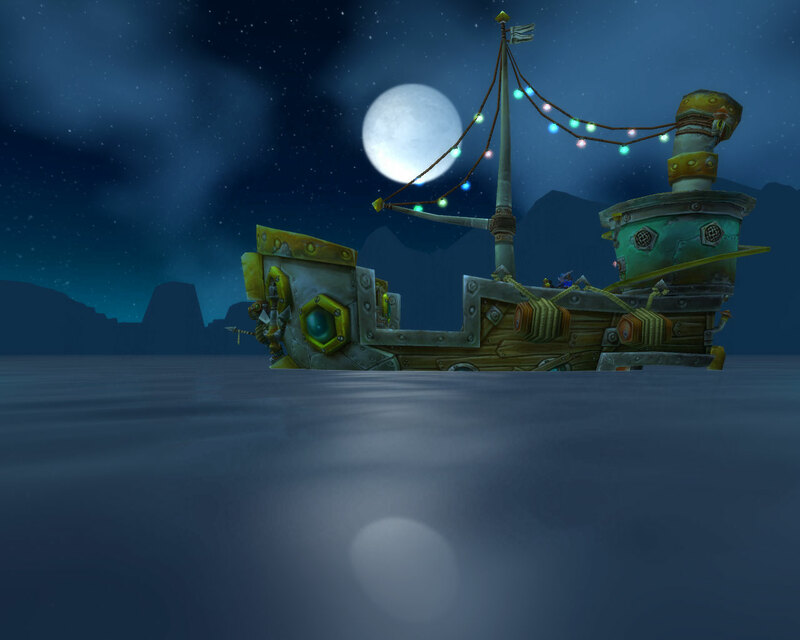 As much as I always said I wanted a boat in WoW, now that I’ve actually got a steamboat of my very own, I’m almost sad. 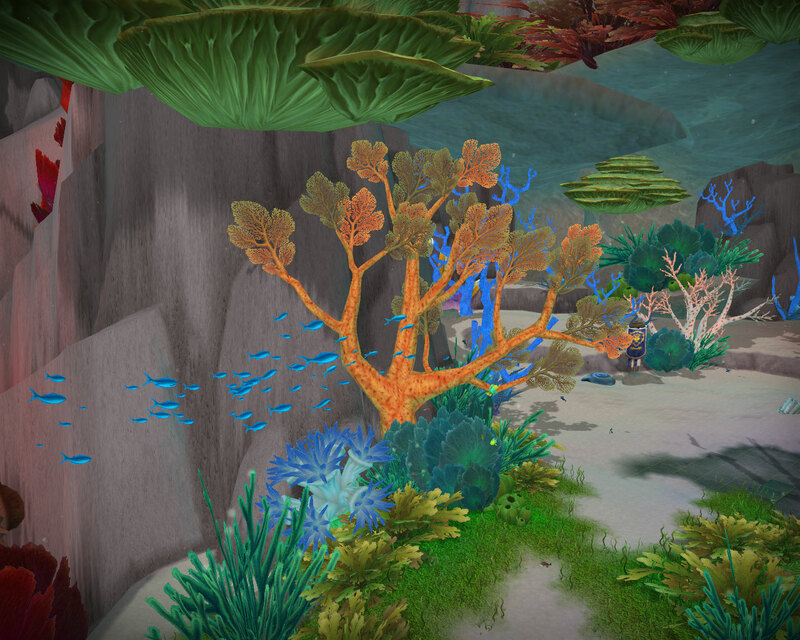 The amount of detail under the waves is breathtaking, all those beautiful and exotic fish swimming away whilst we drive over head.